Constructed in 1872, this Italian villa style home was the only home owned by Woodrow Wilson's minister father. The family lived here briefly when the future 28th president was a teenager. After much restoration, the house has been opened as a museum, and features period furnishings, some of which belonged to the Wilson family. Among them is the bed on which the future president was born, moved in from another location. 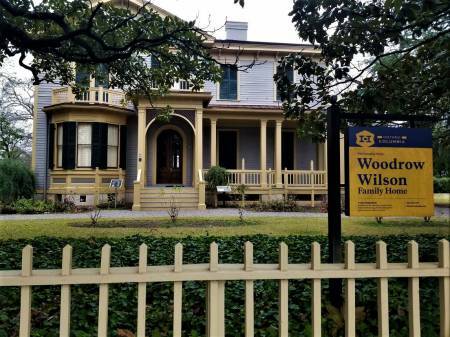 Hours of the Woodrow Wilson Family Home are Tuesday and Saturday at 11:30 a.m. and 2:30 p.m. and on Sunday at 2:30 p.m. Tickets should be purchased in the gift shop at the Robert Mills House, located at 1616 Blanding Street.